London !!! Finally. I was there. I use to dream about Hyde Park, Self ridges, Harrods and Oxford Street (yes mostly shopping destinations) and I was there. We reached in the afternoon and obviously we didn’t waste a minute. We reached our hotels, left our bags and left for Oxford Street straightway. The endless shops at Oxford Street is a shopper’s paradise. I went there or actually happen to be there for the next five days and I always used to see a section, I didn’t see before. Locals and travelers bustling along. Huge shops of all the brands possible and food – food is everywhere. London is tad bit expensive regarding food than the other places in UK for obvious reason being its London and the eat-in tax makes it more pricey. But the best part you can enjoy amazing food on a budget also. So back to the first day. 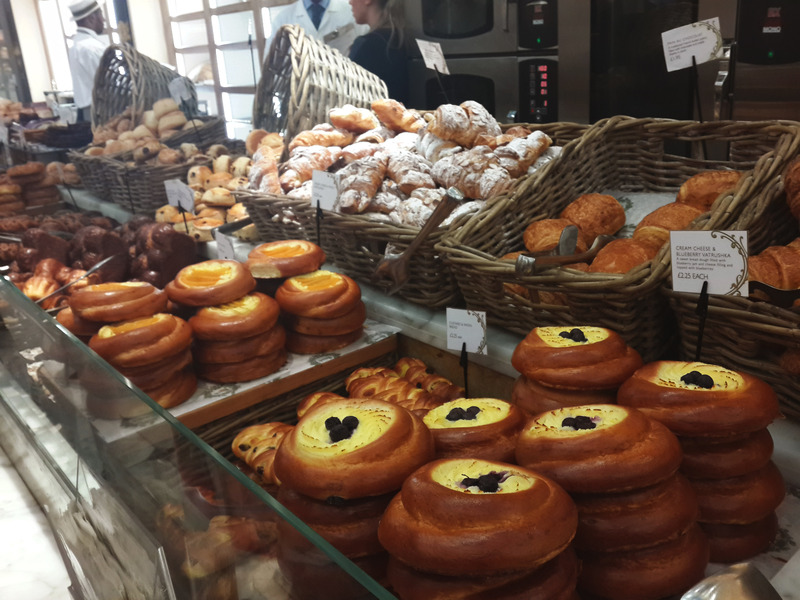 When we reached Oxford Street, we wanted to have a quick bite, basically fuel ourselves before the intensive shopping began. So we headed to McDonalds and the line at McDs was like they were selling stuff for free and the same was at Pret A Manger and Starbucks. So we headed ahead and came across Ben’s Cookies. Now Ben’s Cookies was on my to – do list and hence it was obviously going to be covered. This shop was a take away shop and I had no time for clicking a picture. But Ben’s Cookies is a must try. The cookies are huge, delicious and flavors are fantastic. I, as recommended by the manger had the Milk Chocolate. I also took a White Chocolate with Cranberries. Two delicious and perfect cookies to get us ready for the shopping ahead. After shopping, we were searching for some nice place to eat. And we found Wasabi. 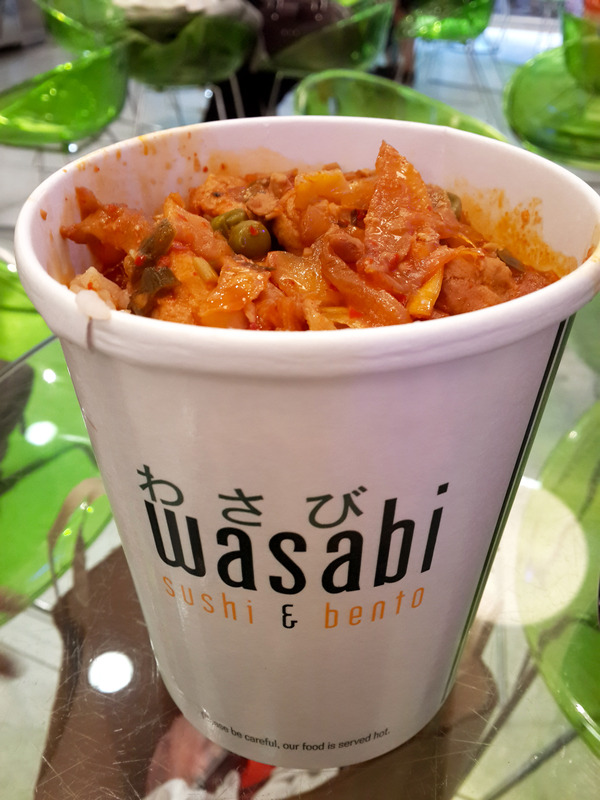 Wasabi is the best priced, amazing quantity, super delicious Japanese food joint. It was the best find in my trip. There is a vast section of almost every Sushi available. There are huge bowls of soup. The hot section has various types of gravy with fish and chicken. I will never stop praising this place, cause everything is just perfect. The huge rice/noodle bowl with Chicken/fish gravy is for 5. something pounds which is more than great. The sushi are priced from only 1 – 2 pounds for 2 pieces. That is just plain wow ! This is the Rice with Spicy Chicken. Full of amazing flavors. Delicious. Perfect. If you are headed to London please eat from Wasabi for me. I also had the Chicken with Sweet and Chilli Sauce again same – great flavors, taste and quantity perfect. Sushi is delicious. 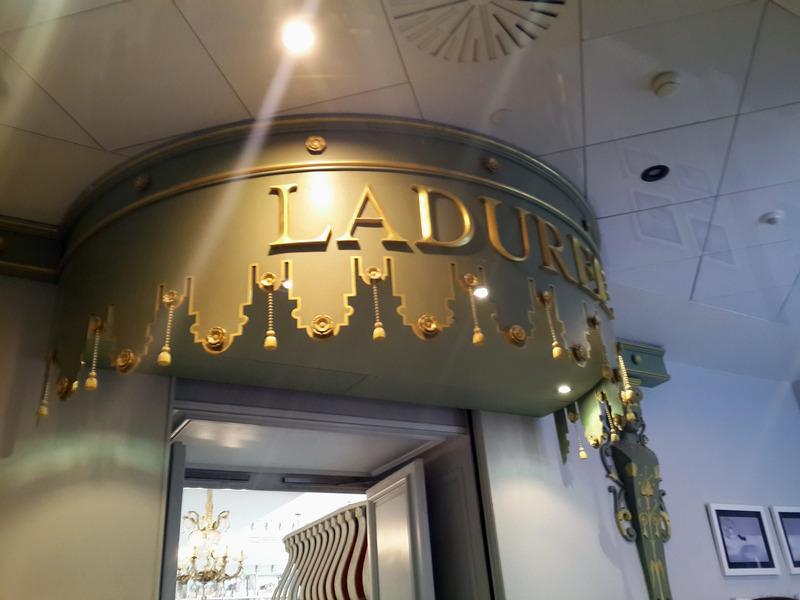 Then the next day we headed towards Harrods for one specially important reason – Ladurée. 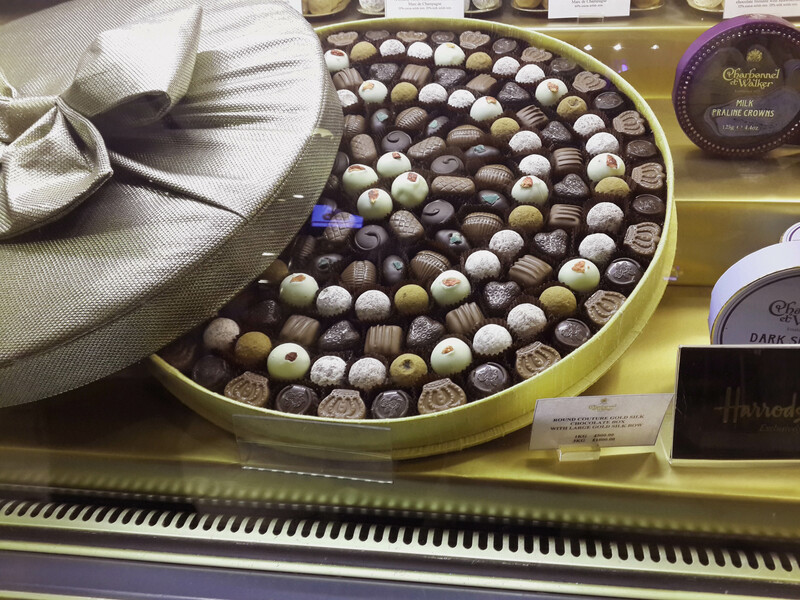 Ladurée is the famous french luxury bakery. Founded in 1862, it is the creator of double decker Macarons that we all love so much. 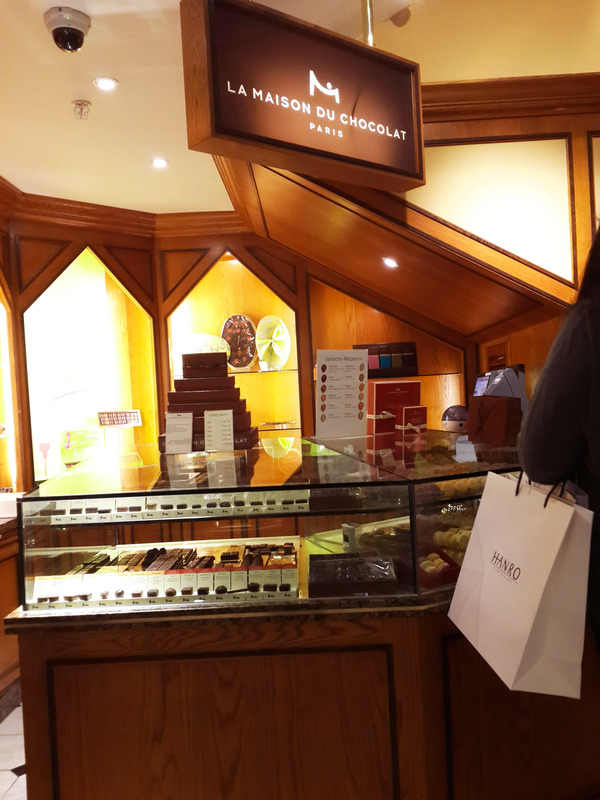 But on searching Ladurée at Harrods, I came across Harrods Food Hall. All I could say is luxury food at its best. The amount of food counters and food was almost endless. All the possible cuisines from all over the world is here. Huge separate section of meat, bakery, confectionery, fruits and prepared food. It is a treat to your to eyes and obviously a bit expensive but if you have the money, it is worth buying these luxury items. On roaming around I finally found it ! I entered and just the amount of Macaron there made me forget about everything. Perfect Macarons. But the Macarons weren’t the only thing selling there. There were array of desserts and even high tea and meals available. So I went with 6 flavors which were Rose, Lemon, Raspberry, Salted Caramel, Pistachio and Strawberry. They were the best thing on earth. 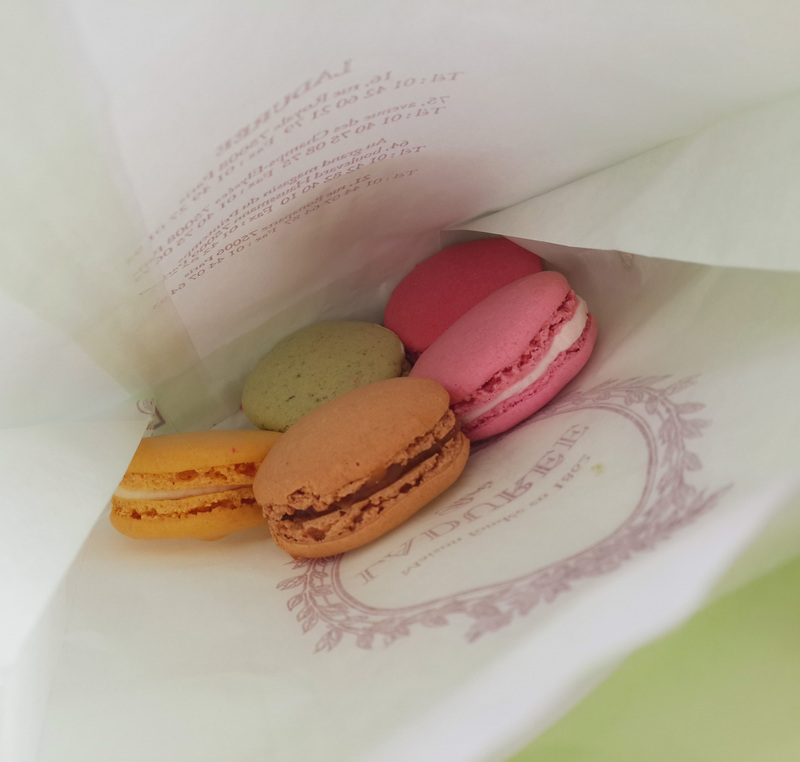 If someone told me to eat only macarons throughout my life, I might just take up on that offer. It is heavenly. I was walking on the road and ooh and aah-ing over the deliciousness and some staring was on the way (never mind that). Next stop – Five Guys. 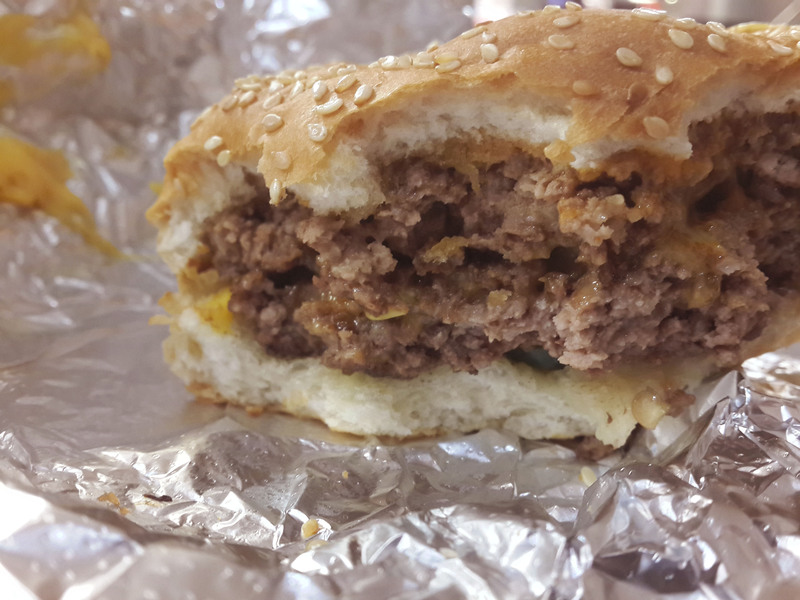 Five Guys is a fast food – casual restaurant which serves only burgers and fries. One of the best burgers eaten ever. I had ordered double beef cheese burger and by just the name you can imagine the deliciousness pouring out of it. I was so hungry that after eating half of it, I realized, ‘ Oh God! I need to click a picture!” So sorry for the half eaten burger but you can see from the inside. That it is not the regular processed cold patty types but fresh made real crumbly meat burgers. Excellent place, meals are usually priced from 10 pounds. Now for the rest of the week there were some repetitions on the food front and eating at usual places which are there in India also. But for the last evening, I had something special planned. 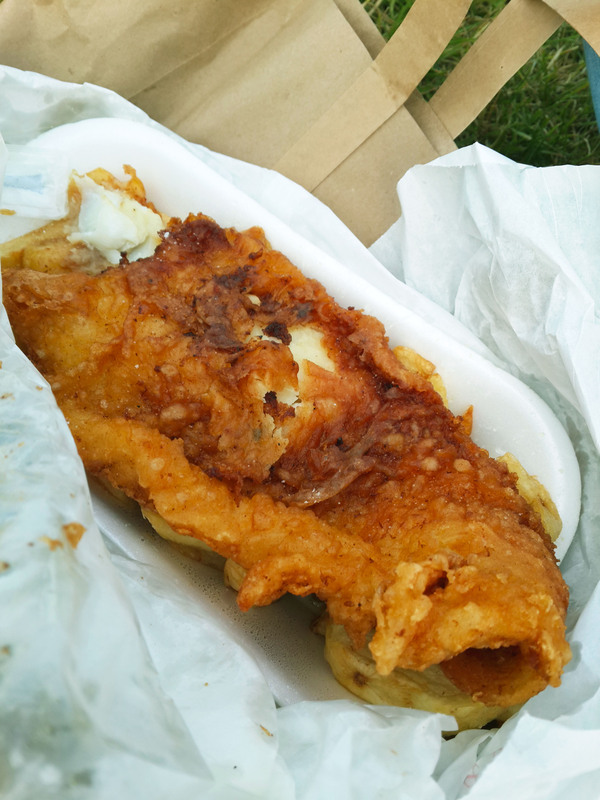 I am usually not a fish eater but when in UK and you don’t try the Fish n Chips, your trip is technically void. So we found some okay Fish n Chips joint near Tower Bridge. But decided against it, cause I wanted to eat Fish n Chips with some history. After mugging my Lonely Planet London before the trip and intensive online search regarding the best Fish n Chips in London. That which filled the budget, taste and history category was the Golden Hind. Golden Hind is a diamond in a small corner in the Maryleborne area. It is a 90 year old shop selling the traditional British supper to many. First thing you will notice is the simplicity of the place. Its simple, clean and to the point. No fancy decors, just some old vintage snaps and wooden table and chairs. Me and my nephew decided for a small impossible type picnic, we decided to take the Fish n Chips and walk towards Hyde Park (which wasn’t nearby) and eat there and play some football. Challenge was accepted. We took brisk walking and commuting in London on the next level (at least for us). Finally we did the impossible (or rather not that impossible), but we did it! Our Fish n Chips were still warm, amazingly delicious and huge in size. We took the Cod Fish. The taste was so good that it made me want to start eating fish again. Perfect texture, perfect crunch and super delicious. The chips you can see are huge in size, quantity and taste. You have to try this place, if you are in London. 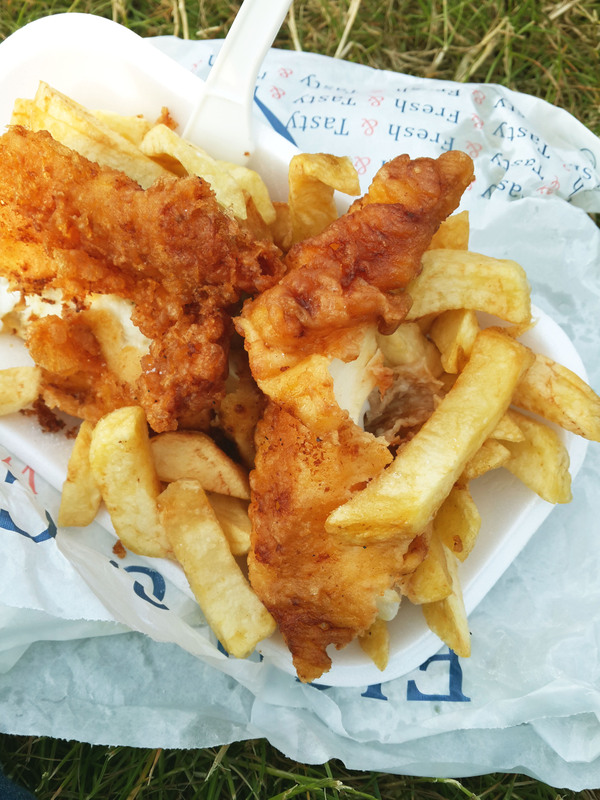 It is the place for Fish n Chips on the budget, as the meal price ranges to 6 – 10 pounds. So that was my perfect last evening in London. Great place for food. I had to yet visit Lincoln so couldn’t eat on some of the expensive places in London. But have to leave something for next time. What should I say in the end, London is obviously one of the best city in the world. The best part what I liked about it was, you don’t feel like an outsider in London. You don’t feel like your not from here. It feels homely for some reason. You are at ease and enjoying yourself fully. It is like you adapt London and London adapts you. There is something for everyone here. Next stop – Lincoln, Lincolnshire.